"The departure of the Lombards for the Crusade"
I Lombardi alla Prima Crociata (The Lombards on the First Crusade) is an operatic dramma lirico in four acts by Giuseppe Verdi to an Italian libretto by Temistocle Solera, based on an epic poem by Tommaso Grossi, which was "very much a child of its age; a grand historical novel with a patriotic slant". 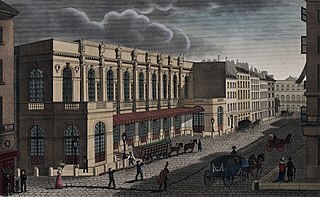 Its first performance was given at the Teatro alla Scala in Milan on 11 February 1843. Verdi dedicated the score to Maria Luigia, the Habsburg Duchess of Parma, who died a few weeks after the premiere. 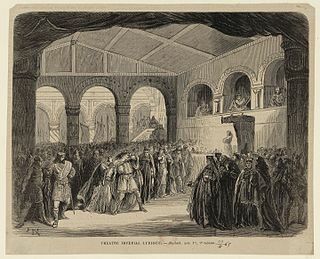 In 1847, the opera was significantly revised to become Verdi's first grand opera for performances in France at the Salle Le Peletier of the Paris Opera under the title of Jérusalem . The plot complications of Tasso's original drama required the librettist to make significant changes; the historical characters portrayed in the original do not appear and the story becomes that of a fictional family and its involvement in the Crusades. 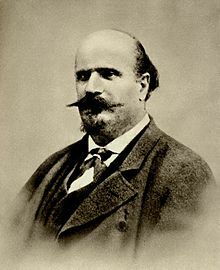 Julian Budden's analysis of the opera's origins notes: "In 1843 any subject where Italians were shown united against a common enemy was dangerous, especially in Austrian Milan. Yet strangely enough it was not the police but the church that took exception to I Lombardi",  since the Archbishop of Milan had heard rumours that the work contained specific elements of Catholic ritual. However, given Verdi's refusal to make any changes to the music, it is fortunate that the result of the police chief's investigations of the archbishops complaints required only very minor alterations. I Lombardi was given by the Opera Orchestra of New York in a concert version under the direction of Eve Queler at Carnegie Hall, New York, on July 12, 1972. Soloists included José Carreras, Renata Scotto, and Paul Plishka. Carlo Bergonzi and Paul Plishka, along with Cristina Deutekom appeared in the San Diego Opera's short-lived (1979 to 1984) summer "Verdi Festival" in June 1979 and it is claimed that this was a West Coast premiere. Over the years, New York audiences have seen the opera presented first by New York City Opera in 1982. Six years later, I Lombardi was given by the Opera Orchestra of New York in a concert version with Aprile Millo in April 1986  and this was followed by the first performances at the Metropolitan Opera as part of its 1993/94 season with Luciano Pavarotti, Aprile Millo, and Samuel Ramey in some of the major roles. The two sons of Lord Folco, Pagano and Arvino, are reconciled, having previously feuded over which man would win the hand of Viclinda. Pagano, who once threatened the life of his brother, has returned from exile. A throng gathers in front of the church of Sant'Ambrogio to celebrate. Viclinda, now Arvino's wife, and their daughter Giselda are on hand to witness the reconciliation. A crusade to the Holy Land is announced and Arvino is to lead it. Pagano secretly vents his enduring frustration to Pirro, Arvino's squire: he still desires Viclinda (Sciagurata! hai tu creduto / "Wretched woman! Did you believe that I could forget you..."). As nuns sing in the background, Pirro and a gang of cut-throats agree to help Pagano take Viclinda for himself. Viclinda and Giselda are concerned about Pagano and his supposed reformation. Arvino asks them to watch his elderly father, Lord Folco, who is spending the night in Arvino's chambers. Giselda prays (Aria: Salve Maria / "Hail Mary!"). Pirro and Pagano and their assassins storm the palace. Pagano draws his sword and enters Arvino's chambers. He emerges with a bloody sword and with Viclinda in his custody. Arvino suddenly appears and Pagano is shocked to learn that in the darkness he has killed his father, not his brother (Orror! / "Horror! Dreadful monster of Hell..."). A throng calls for Pagano's death, but Giselda protests against more bloodshed. So Pagano is once again sent into exile. Acciano and representatives from surrounding territories plot their continued resistance to the marauding crusaders. 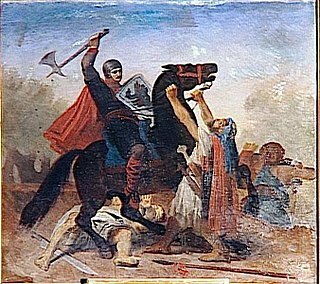 They have captured Giselda, who is now held captive within Acciano's harem. Sofia, Acciano's head wife and a secret Christian, enters with her son Oronte. Oronte has fallen in love with the captive Giselda (Aria: La mia letizia infondere / "Would that I could instill my gladness into her dear heart"). As Oronte sings of his love, Sofia sees Giselda as a means of converting her son to Christianity (Come poteva un angelo / "How could Heaven create an angel so pure"). A hermit waits for the arrival of the crusaders. A man appears at the cave and asks the hermit how he may receive forgiveness for his past sins. The man is Pirro, who has become a confidante of Acciano and now controls the gates of Antioch. The hermit counsels Pirro that he will achieve forgiveness if he opens the gates to the approaching crusaders. Thereafter, the crusaders, led by Arvino, appear at the cave. The hermit learns that Arvino's daughter has been captured by Acciano. The hermit assures them that they will succeed in taking Antioch. The members of the harem sing of Giselda's luck in attracting the attentions of Oronte. As Giselda prays (Aria: Oh madre, dal cielo / "O mother, from heaven hear my lament") sudden shouts warn that the crusaders have invaded Antioch. Sofia rushes in to say that both Acciano and Oronte have been killed. Arvino enters with the hermit. Sofia identifies Arvino as the murderer of her husband and son. Giselda is horrified and recoils at her father's attempted embrace. She declares that this crusade was not the will of God. Arvino draws his sword and threatens to kill her for her blasphemy, but he is stopped by the hermit and Sofia. Arvino declares that his daughter has gone mad. The crusaders, joined by Christian pilgrims, sing of the beauty of Jerusalem and the Holy Land. Giselda has wandered away from her father's camp. Suddenly, Oronte appears! He was merely wounded, not killed, by Arvino's sword. Giselda and Oronte decide to flee together (Duet: Oh belle, a questa misera / "O Lombard tents, fair to this unhappy girl, farewell!"). Arvino rages against his daughter's betrayal. Soldiers arrive to tell him that Pagano has been seen in camp and they call for his capture and death. Arvino agrees. After a violin prelude, Giselda and Oronte appear. Oronte has been wounded and Giselda bitterly laments God's cruelty. The hermit appears. He tells Giselda and Oronte that their love is sinful but may be purified by Oronte's conversion and baptism. The hermit completes the baptism, and Giselda laments as Oronte dies from his wounds, promising to see her in heaven (Trio: Qual voluttà trascorrere / "What wondrous pleasure I feel"). As Giselda dreams, Oronte appears to her in a vision and tells her that God has granted his prayer: the crusaders will find strength in the waters of the fountain of Siloam (Aria: In cielo benedetto / "Through you, Giselda, I am blessed in heaven"). Giselda wakes and sings of her miraculous vision (Aria: Qual prodigio . . . Non fu sogno! / "A miracle!... It was not a dream"). The crusaders and pilgrims are despairing that God has abandoned them in the desert (O signore, dal tetto natio / "O Lord, Thou dids't call us"). Giselda rushes in, announcing the discovery of a spring of water. As all rejoice, Arvino assures his crusaders of his confidence that they will now take Jerusalem. Scene 3: Arvino's tent Dying from wounds, the hermit is brought in by Giselda and Arvino. The hermit reveals that he is really Pagano. In his dying moments, he confesses to Arvino his penitence for their father's murder and begs forgiveness. Arvino embraces his brother, and Pagano asks for a final view of the Holy City. As Jerusalem appears in the distance, Pagano dies, and the crusaders praise heaven (Te lodiamo, gran Dio di vittoria / "We praise Thee, great God of Victory"). Cristina Deutekom, also known as Christine Deutekom and Christina Deutekom, was a Dutch coloratura soprano opera singer. ↑ Raymond Hall 18 January 1931, "Verdi's I Lombardi Inaugurates La Scala Season; Italy's Famous Lyric Stage Revives Composer's Early Opera in Brilliant and Colorful Presentation", The New York Times. Retrieved 9 April 2013 (subscription or paid access). ↑ San Diego Opera's performance history for 1979 Archived 2015-09-25 at the Wayback Machine . [http://operabase.com/oplist.cgi?from=01+01+2001&is=I+Lombardi+alla+prima+crociata&sort=DList of performances of I Lombardi alla prima crociata] on Operabase .